Did you like our first-drive review of the all-new 2019 Ford Mustang Bullitt? Our journalist Antoine Joubert had a real blast with this car, which marks the latest incarnation of a true automotive legend. Recently, the legend wrote another page in its big history book with the production of the 10-millionth Ford Mustang. That’s right: 10 million units have now been built since 1964! And just like the first serialized Mustang (VIN 001), the milestone car that came out of the Flat Rock assembly plant in Michigan is the same colour (Wimbledon White) and model (GT). There’s a huge difference, of course: The manual transmission has twice as many gears (six instead of three) and the V8 engine is nearly three times more powerful (460 horsepower versus 164). For the record, the Ford Mustang is the best-selling sports car of the last 50 years in the U.S. and the most popular in the world for three years running. It was also built in San Jose, California; Metuchen, New Jersey; and at the original Mustang production facility in Dearborn, Michigan. 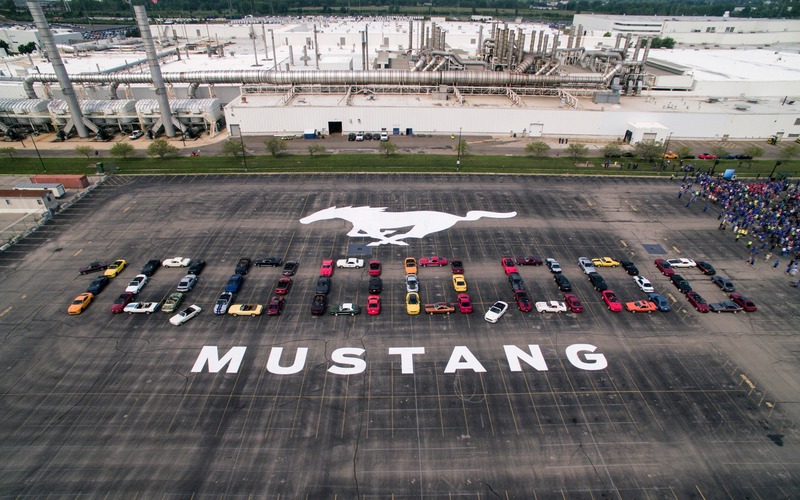 To celebrate the production of the 10-millionth Mustang, Ford set up a parade from its Dearborn headquarters to the Flat Rock plant with models representing all six generations, as well as flyovers from three WWII-era P-51 Mustang fighter planes. The next couple of years will be just as memorable for Ford’s iconic muscle car. Just think about the launch of the new 2019 Shelby GT500 generating more than 700 horsepower and the 2020 Mustang Hybrid that will reportedly deliver GT-like acceleration. News The Ford Mustang California Special is Back! First introduced in 1964, the Ford Mustang was quickly submitted to a wide variety of mechanical and styling modifications. Carroll Shelby may be the most renowned Mustang tuner, but there were other variants of Ford’s iconic pony car that were just as popular. The California Special was one of them.